Who am I? I'm Antje and totally crazy about dogs! Especially my own 2 breeds the rough collie, and borzoi. 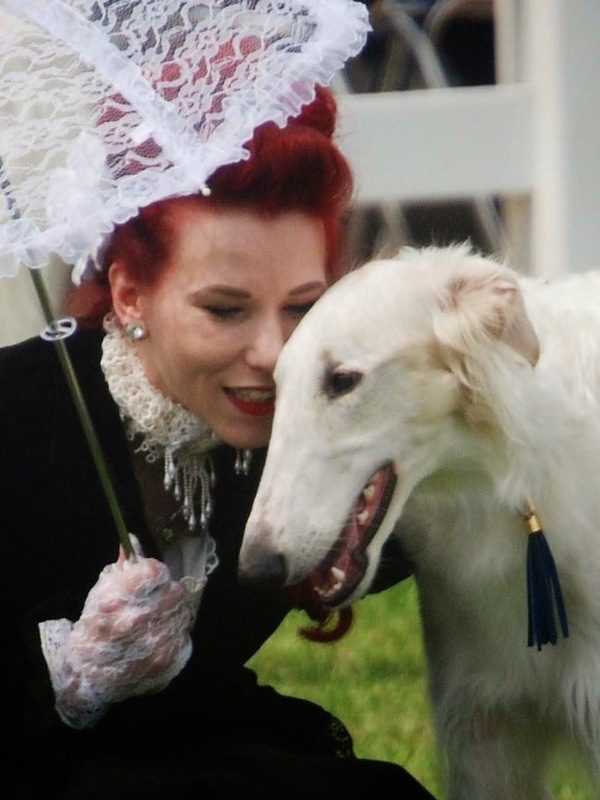 There have been dogs in my life since I was 4 years old, but I've been involved in rough collies since 2000, in 2006 the first borzoi made an introduction in my life. With my parents we somethimes breed rough collies by the name Glamourace Collies. I live in a home with 8 dogs, 1 collie boy, 6 collie girls and 1 bozoi girl. They are my pride and joy!!! Last summer I did the official course KK1 Canine Knowledge of the Dutch Kennelclub raad van Beheer, and I passed the exam for it! So I want to proceed with the coarse next fall. I'm a showtraining instructor every now and then, I also judged a handlingsexam in the past, so showing is really one of my greatest joys. All the news and stuff will be on the kennel blog. My biggest passion is showing, but there is more.